On Friday night, the three remaining Democratic candidates for president will be sitting down for question-and-answer sessions with MSNBC host Rachel Maddow, and it could end up being a news-making evening. The Democratic Party, after all, hasn't offered up nearly as many opportunities to get to know the candidates as the other side has, with only six debates compared to 12 Republican ones. 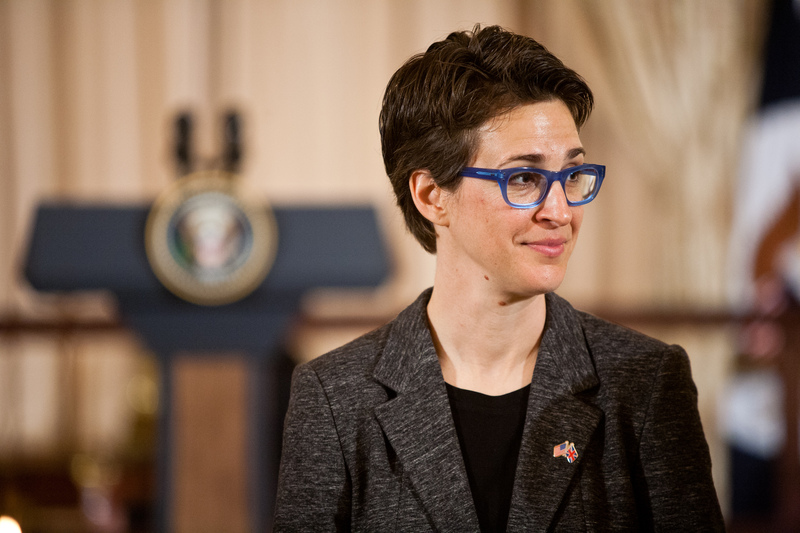 As such, if you're planning on supporting one of their candidates, you should take every opportunity to see them speak — so, how does the Rachel Maddow Democratic forum work? My guiding principle on these things is I try to ask questions that I can’t predict the answer to. I want to get them off of their talking points, off of their stump speeches, out of their comfort zone. She also explained why the candidates would be appearing in this indirect, divided-up forum style, rather than a direct debate: the parties determine how many of those standard fare, head-on debates happen each cycle, and as such, the forum can't even have the candidates on stage at the same time. It’s not a debate. Both the Republican and Democratic parties made decisions this year that they would pick a specific number of debates and require that the candidates would only participate in those. … And that means I am not allowed to put these candidates on the stage at the same time. I have to talk to them sequentially, one on one. While it might initially seem disappointing that Maddow won't be moderating an actual debate, there's a strong case to be made that this could be even more informative and illuminating. In particular, it eliminates any potential complaints about equal time, and rather than getting to deliver short statements, they might be forced to speak more extemporaneously. And, according to what she told Morrill on Wednesday, she's planning to confront them on a pretty essential topic for the Democratic Party — after yet another year of conservative gains in an off-year election, how does the party plan to compete in blood-red southern states? I’m going to press them on the fact that we’re in the South … and the fate of the Democratic Party in the South is a really interesting and, I think, daunting question for the Democratic Party. Maddow's recent interview with Clinton, in the aftermath of her long day of Benghazi committee testimony, was a good example of how skillfully she probes candidates in areas of unique interest to progressive voters. If you decide to tune in, it'll be airing Friday night on MSNBC, at 8:00 p.m. ET (that's 5:00 p.m. PT for the West Coast crowd).